1 Preheat oven to 340&F/171.1&C. Moisten the almonds with the Kirsch and mix well. Add the confectioner’s sugar and mix to cover the almonds. Spread the almond mixture on a baking sheet and roast until golden brown, about 4 minutes. Remove from oven and stir to break up clumps. Let cool. 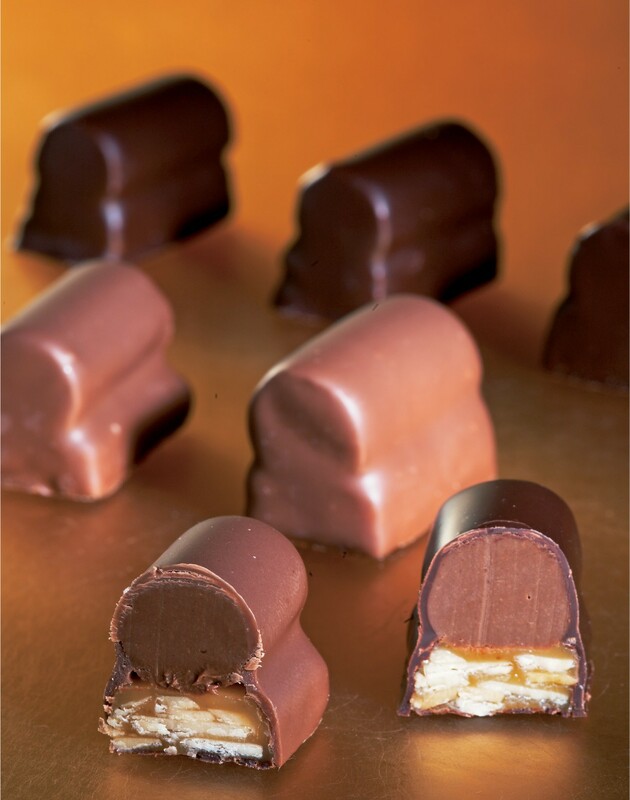 2 In a bowl, combine the gianduja and the almond mixture. 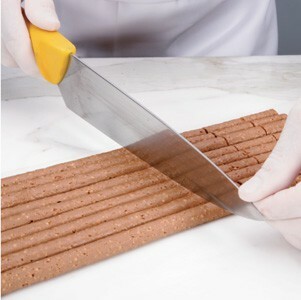 3 Using ½-in/13-mm round tip, pipe logs the length of a parchment paper–lined sheet pan. 4 Let set overnight at room temperature or place in a cooler until firm. 5 Cut into 1¼-in/32-mm pieces. 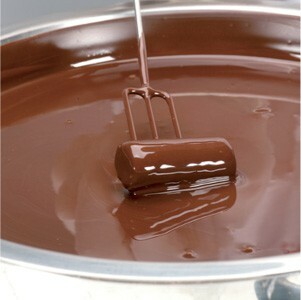 6 Using a dipping fork, dip the candies in the dark couverture, place on a tray, and let set at room temperature. 7 Store in an airtight container at 57& to 61&F/13.9& to 16.1&C in a dark, dry place. 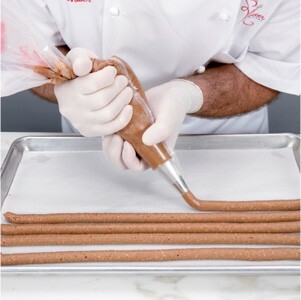 – Pipe the gianduja mixture onto parchment paper and let sit overnight. – Once completely crystallized, cut into 1¼-in/32-mm pieces. – Dip into dark couverture with a three-pronged dipping fork.